Maintenance of assets is essential for infrastructure upkeep and safety. 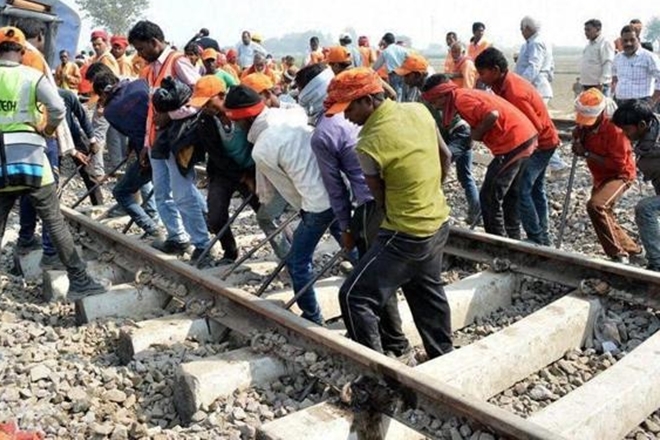 Major track maintenance like track renewal for a stretch of track, new bridge or other permanent structure which need to be replaced or renewed on the existing track cannot be done while trains are running, as it will affect the safety of passengers. During this time Railway lines have to be blocked in order to undertake above works by taking Mega Block. In order to minimise the inconveniences causing to passengers, NF Railway has undertaken the concept of Mega Block over entire NF Railway network, comprising of 4 hrs. Traffic block on every Sunday by regulating passenger trains. Thus has been introduced for the first time since 02.07.17 to facilitate maximum execution of vital track maintenance and Track Machine works through systematic and meticulous planning of operations. The Mega Block is being utilised in a focused manner to improve asset reliability and hence running of trains. 3108 hrs. of Traffic Block has been granted for various Track Machines from Sept’ 17 against the 1607 hrs. of Traffic block granted during the year 2016-17 in the corresponding period which is an increase of 48.29% . 15120 hrs. of Traffic block has been granted for executing the works other than Track Machine from Sep’ 17 against the 8812 hrs. of Traffic block during 2016-17 in the corresponding period. This is an improvement of 71.58%. By ensuring the availability of adequate traffic block the Zone has been able to complete Track Renewal of 50.27 CTR (Complete Track Renewal) against the annual target of 48.90 CTR units. This includes the progress of 63.89 Km Through Rail Renewal (Primary) done against annual target of 52.80 Km. Renewal of total scope of 186 km will be tackled and expected to reach upto 100 km during current year. Besides this, 156 sets of turnouts have been replaced against annual target 150 sets. The whole scope of turnout renewal (303 Nos.) is expected to be completed during this financial year itself. 67.06 km ISD (Increase in sleeper density for heavier axle load) has been completed up to the month Dec 17’ against the proportionate target 52.398 km.